Garmin has a new toy! 550+ e-collar setup with GPS tracking. Just watched the Gun Dog Supply video, is much easier than the Alpha version. 2 mile range for the e-collar. Gun's don't kill people. The Government does. I killed eight gophers last year and a purebred Tennessee walking horse that was looking at me funny. Here’s the link to video. It’s compatible with the alpha and collars, assecories. Only reaches 2 miles max? I bet it doesn't reach very far with any kind of trees. pretty happy with my Alpha & Fenix watch setup. I watched the video and like the unit. I have a garmin alpha and you can just buy the hand held for 399 and it will work with the garmin tt15 collars that go with the alpha unit. My biggest complaint about the alpha handheld is it has too many features and its too easy to hit a button and it takes you off the screen you want. The video says you can have both units connected to the collar at the same time so you can use the map/gps part of the alpha handheld and the 550+ at the same time. I would like to walk around with the 550+ and leave the alpha in the side by side or truck when hunting. Looks like Garmin is trying to offer a product to compete with SportDog's new TEK 1.5 equipment. I expect many who can do without the bells and whistles are going to like it. But it is quite a bit more expensive than the TEK 1.5 which you can get for about $400. Last edited by arandy; 08/14/18 11:45 PM. Getting such good service from my 430s and T5s that I'd hate to switch. But just having both on one collar is a plus. PS I think part of the great service is the long range antenna I added. Last edited by Chet; 08/15/18 12:49 AM. I’m still running 2 collars, Astro 220 and tritronics 70 or 200. May upgrade next season. I agree it would be good for training and I also like the fact that you can have this remote and the alpha remote connected to the same collars, but with only a 2 mile gps range (I just watched the video, he clearly says 2 miles for ecollar and GPS), I wouldn't want just the 550 remote. I bet it loses signal at 200 yds in thick cover. And also, I wouldn't want to connect my watch to this one because of short distance so while hunting I will have the Alpha no matter what, which means I would just be carrying two remotes for no reason. 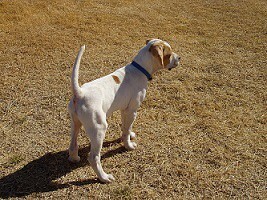 I try to train one dog at a time for the most part so I don't really have any issue using the Alpha for training. And I rarely use more than vibrate for a correction anyway. I do think it will be useful for a lot of people though and more than likely will end up with one myself. So what’s the gps range of the alpha 100? Ok thanks! I just hope I don’t have a dog get out that far. I follow the Garmin Facebook page and so far everyone is liking them. Steve Snell posted that they are seeing it have as much range as the Alpha. I’ve just about convinced myself I need one. Garmin way-overstates there units range. I have been using the alpha about 65 days a year and very often in rolling country will lose reciption at about 900 yards. I bought one--it is as advertised. Got it because I'm working a new pup this year and it was taking too long to scroll thru pages on the alpha. I like it and will be using it a lot this season and saving the alpha for lost dogs, problems, backup, etc.